Microsoft on Friday quietly urged its users to uninstall the most recent round of security updates, after reports emerged that it crippled their computers with the infamous “Blue Screens of Death” (BSoD), which is really a matter of shame for one of the largest technology giants. Microsoft released security updates on its August Patch Tuesday that addressed privilege escalation vulnerabilities but an apparent font cache clearing issue caused Windows boxes to turn the colour of the screen to Blue. 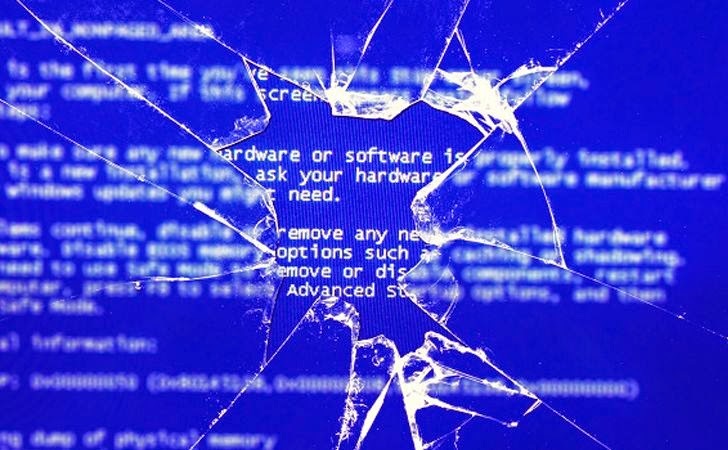 The tech giant forced to make this decision after hundreds of complaints, regarding the infamous Blue Screen of Death error, were sent to the company. This was not the only update to be made last week. The offending Microsoft patch identified as MS 14-045, one of the nine updates which fixes three security issues including one in the Windows kernel - the heart of the operating system - can cause system crashes forcing users to reboot it. Soon after the initial release of the patch, the issue surfaced on Microsoft’s support forum with a post from a member named Xformer complaining of "Stop 0x50 errors," aka blue screen after applying any of four updates (KB2982791 KB2970228 KB2975719 or KB2975331). "Installation went smoothly. After rebooting everything worked fine. But when I shut down my notebook and switched it on a little later it came up with a blue screen with a Stop 0x50 in Win32k.sys. I could not even boot into safe mode as Windows failed to start no matter which mode chose", Xformer explained on Microsoft's support discussion forum. An additional precaution from the company’s side is that it has removed the download links to the 2982791 security update. How to uninstall this update, see Microsoft Knowledge Base Article 2982791. The uninstallation instructions are long and involved in the Knowledge Base articles as mentioned above, but users are recommended to uninstall the buggy update as soon as possible.